This is one of those situations where I really just shouldn't look. 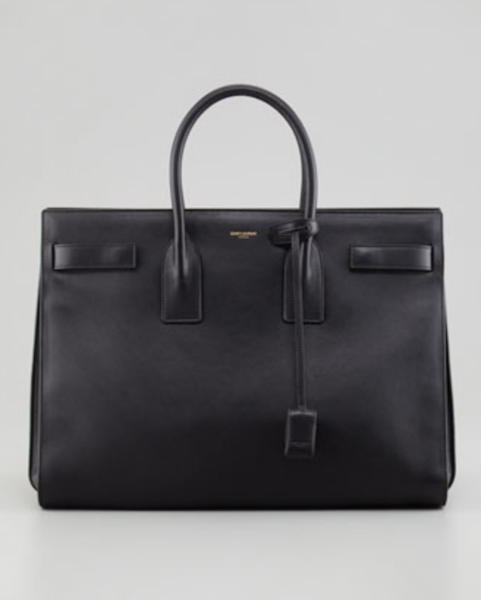 This stunning Saint Laurent Tote Bag is new at Bergdorf Goodman, and I am madly in love with it. I covet it, and nothing in the material world would make me happier than having this beauty (okay, perhaps that is a bit of an exaggeration, but you get the point). 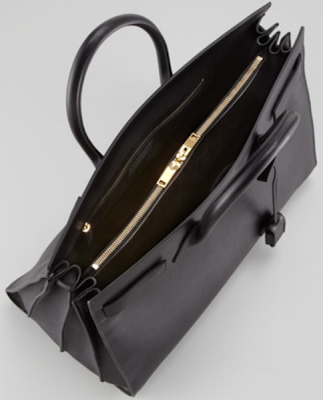 This is such an elegant bag, and the clean lines make this a classic that will never go out of style. I will be stalking it online repeatedly, but it is unlikely that I will ever be that lucky girl who actually buys it (sob). A structured and simply-detailed leather carryall, the Saint Laurent Sac de Jour tote reflects new designer Hedi Slimane's exacting minimalism yet will last for seasons to come. I, for one, am intrigued and can't wait to see what Slimane has in store for Saint Laurent! What do you think? $2,950.00 Available at Bergdorf Goodman. (Affiliate link). Images from Bergdorf Goodman. Beautiful. Just... beautiful. 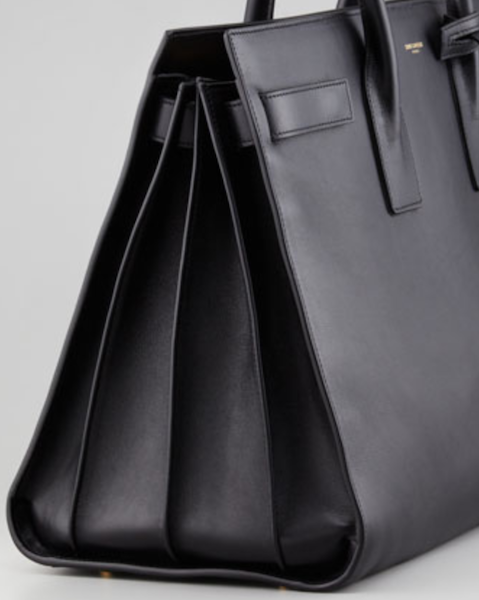 This reminds me of the CHANEL Cerf Tote that was UBER hot years ago (maybe 7 or so?). Classic work tote that lends itself to decades plus of use. I passed on the CHANEL one because the leather was not the classic caviar but a different texture; softer and so, did NOT hold it's shape well... at least some of them didn't. There were many blogs discussing the difference in the leather used for this item; some were stiff/some were soft. I wanted something that would hold it's shape and at $1800 then, I couldn't justify it. So do I, to be honest, lol. LOL!!! I completely agree, Kate! Oh how I would be such a happy girl to have this!!!!!!!! Wow, look at the lines on that beauty. You know what kills me, is that over the last 15 years or so that I've been working, seeing luxury accessories (HB, Shoes, etc) go up SO much in price. I remember all these brands being half the price. D: I shall admire from far far far away.